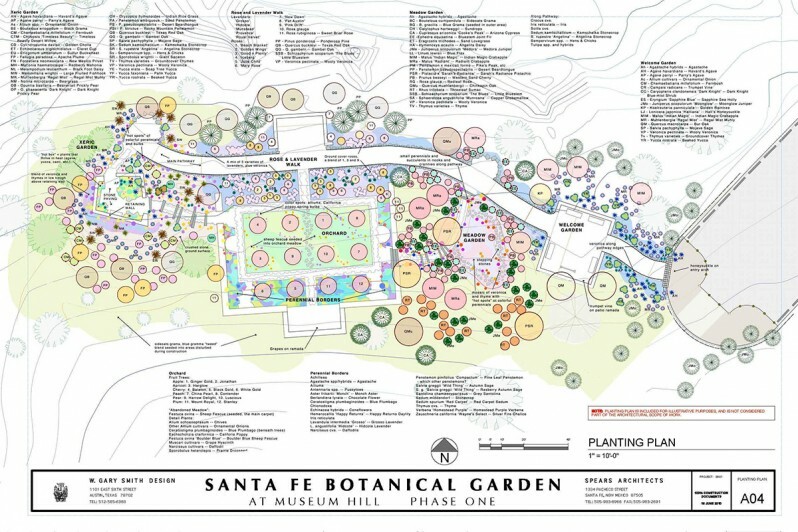 The new Santa Fe Botanical Garden is the first public garden in the high desert region of Northern New Mexico designed to demonstrate environmentally sustainable gardening. 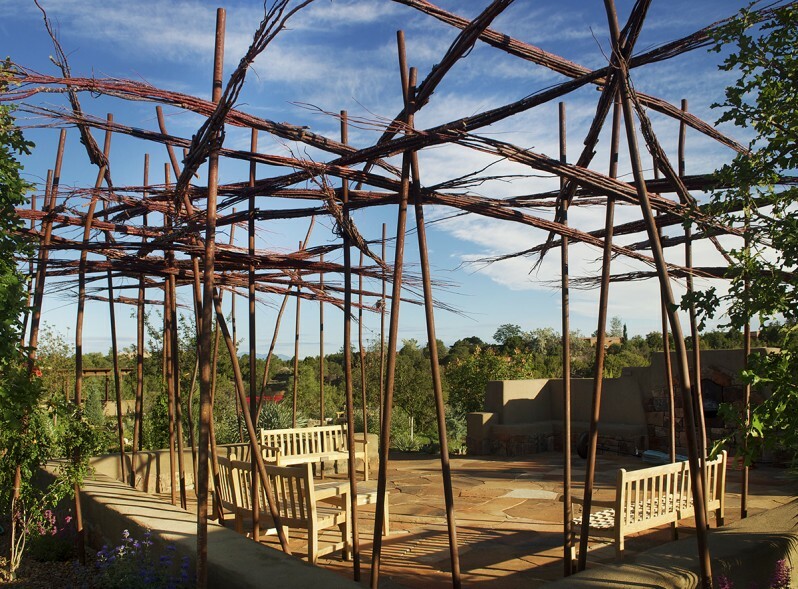 It includes restoration of the eleven-acre Arroyo de los Piños, and three acres of fine gardens. 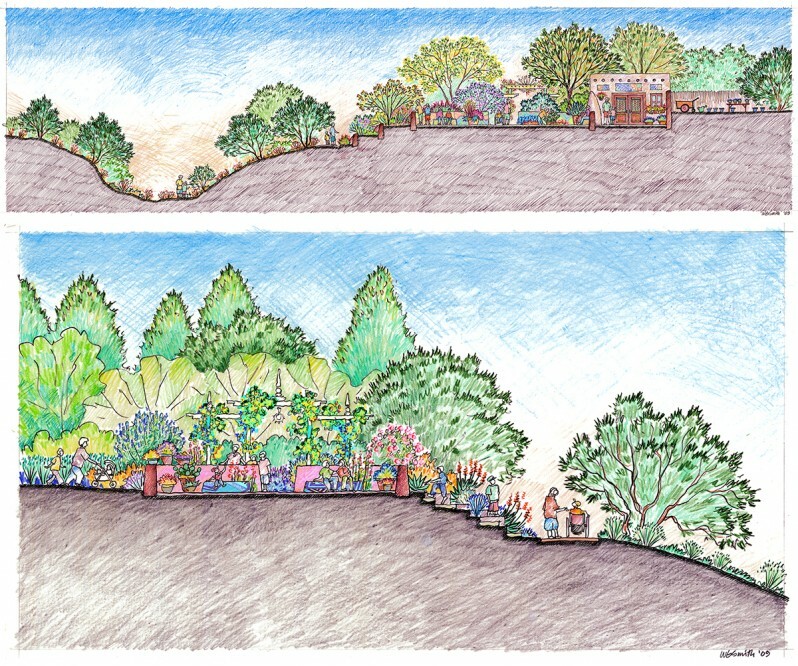 The centerpiece of the Phase 1 gardens, The Orchard Gardens, is an orchard of fruit trees adapted to the local climate. 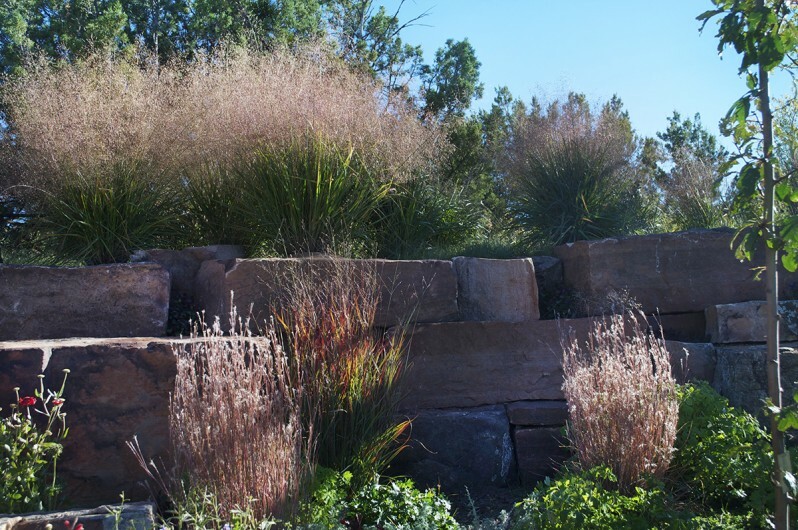 A stone retaining wall is planted with drought tolerant perennials and grasses. 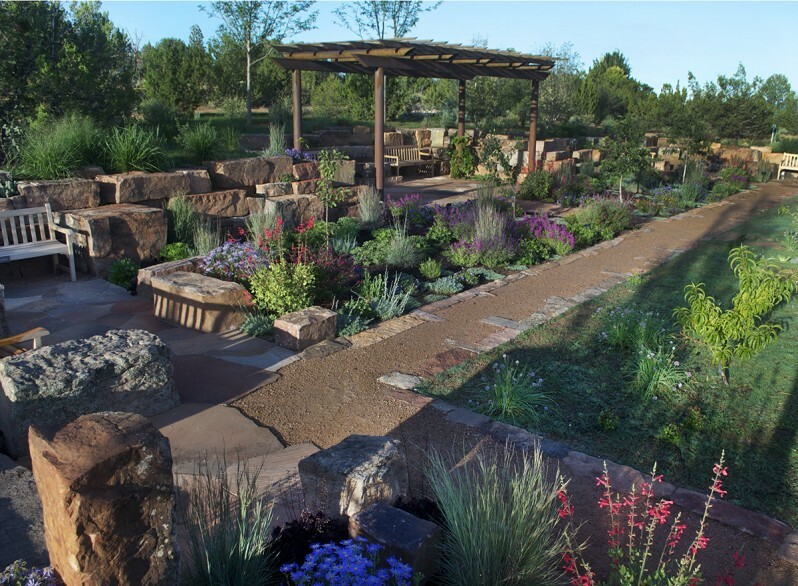 The stone retaining wall is inspired by a giant basalt escarpment between Santa Fe and Albuquerque. The steel structure for this ramada, an abstracted grove of trees, was designed by architect Beverly Spears. I added the bundles of twigs. 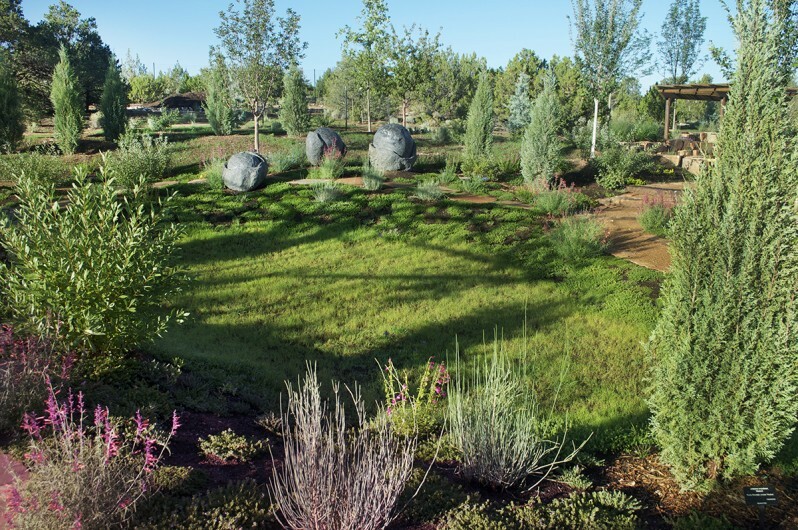 The Meadow Garden includes a berm covered with drought tolerant native grasses. A collaboration with sculptor Candyce Garrett, “Emergence” is perched on the edge of the groundwater recharge basin. 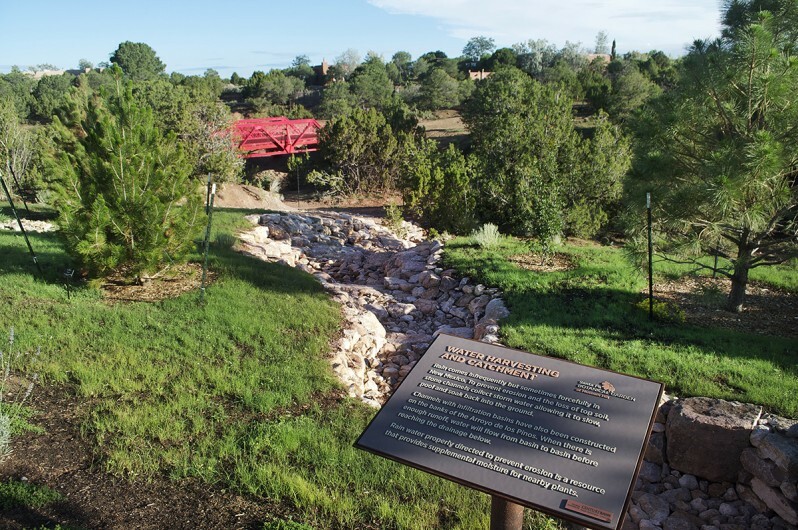 Surface water management is critical in Santa Fe. 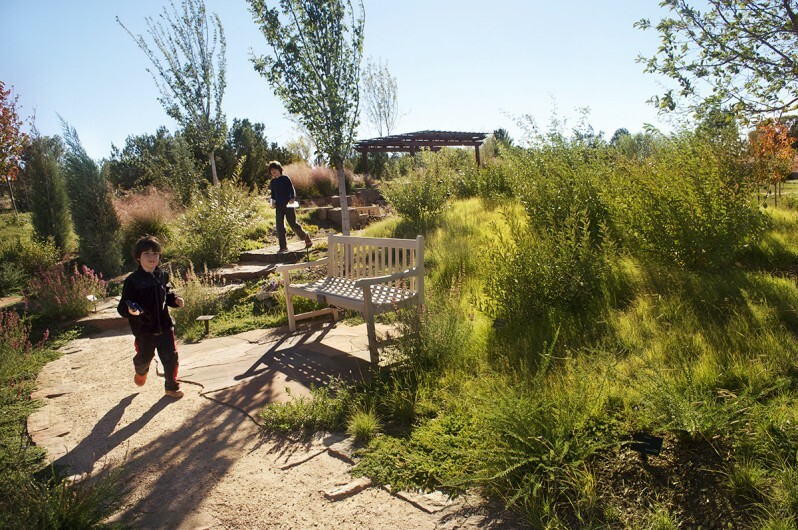 A manufactured dry creek meanders through the garden for erosion control and water filtration. The design process included studying Native American pottery at the Museum of Indian Arts & Culture. Fundraising sketches for the Courtyard Gardens.